JUST SOLD in 5 Days FOR 106% of LIST PRICE!! Stop looking! 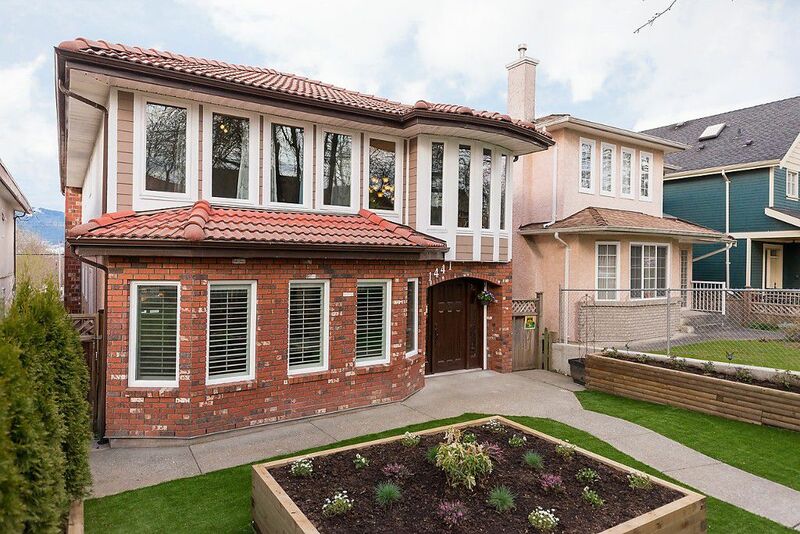 Fully-renovated spacious single-family home on a 33'x122' RT-10 lot on a picturesque block in a highly desirable pocket of booming Cedar Cottage. Truly special, this home has been kept in the family since new & has recently been lovingly renovated top-to-bottom with style, function & quality. Spectacular mountain views on both levels, thanks to a brand new kids park right at your back door. Did I mention there was a brand new kids park right at your back door? Spacious open great-room-concept main level w/enormous dream kitchen, offering endless cabinets and counter space, granite counters, full suite of stainess appliances including wall-oven & microwave, 5-burner cooktop with suspended hood fan, wine fridge, and french door fridge w/water & ice dispenser. Luxurious spa bath on main features steam shower and heated slate floors...which also follow through to the kitchen and family room. Although renovated to use as a single-family home, there are options that may allow this home to be suited in the future. And with a bedroom also on this level, this home offers the option to enjoy the very best of single-level living...highly sought-after in this city, particularly for the aging population. Upstairs offers 3 generous-sized bedrooms, a fully renovated main bathroom and a massive retro-throw-back ensuite bath, just waiting for your designer ideas. The bonus upper-level rec room with wet bar (currently being used as a gym), offers access your large view deck, overlooking the kids park and provides scenic vistas of the North Shore Mountains. New vinyl windows thoughout, new plumbing, new hot water heaters & lighting, 2 wood-burning fireplaces, central vacuum, security system, and much more. Don't forget the double detached garage, which is fully pre-wired for your dream workshop. The list of features here is endless. And all this just steps from an elementary school, just a few blocks from loads of shopping, SkyTrain, beautiful Clark Park and Trout Lake Park & Community Centre. Don't miss this! OPEN SAT & SUN Mar 21 & 22, 2-4.